Once the butter is "frothy" add the lemon zest and cream. *keep on a very low heat OR pour the butter sauce into a small insulated mug that has been preheated with a cup of boiling water *** This will keep the butter sauce at a perfect temperature without separating. The trick to this sauce is creating an emulsification without the sauce "breaking" or the oil separating from the milk solids. A trick I use is to pre-heat an insulated mug or small thermos by pouring boiling water into it and allowing the cup to get warm. Then once the butter sauce is done, I pour out the water, and add the sauce. 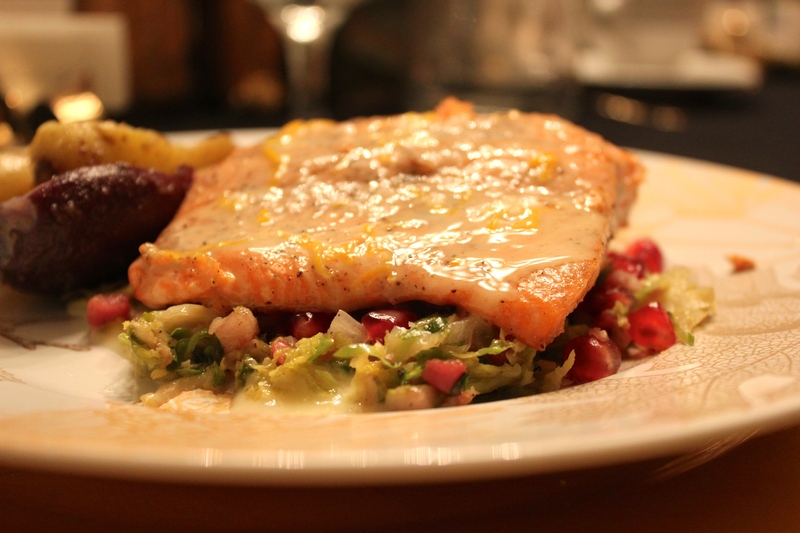 The sauce will keep warm in the mug while the salmon is cooked. You can use this butter sauce on any fish, but I think it works particularly well on a tender wild salmon filet.